Behind every great day is a great night at the smoke-free Comfort Suites hotel in Byron, GA near the Georgia National Fairgrounds and Agricenter. Nearby attractions include the Museum of Aviation Flight and Technology Center at Robins Air Force Base and Macon Historical District. 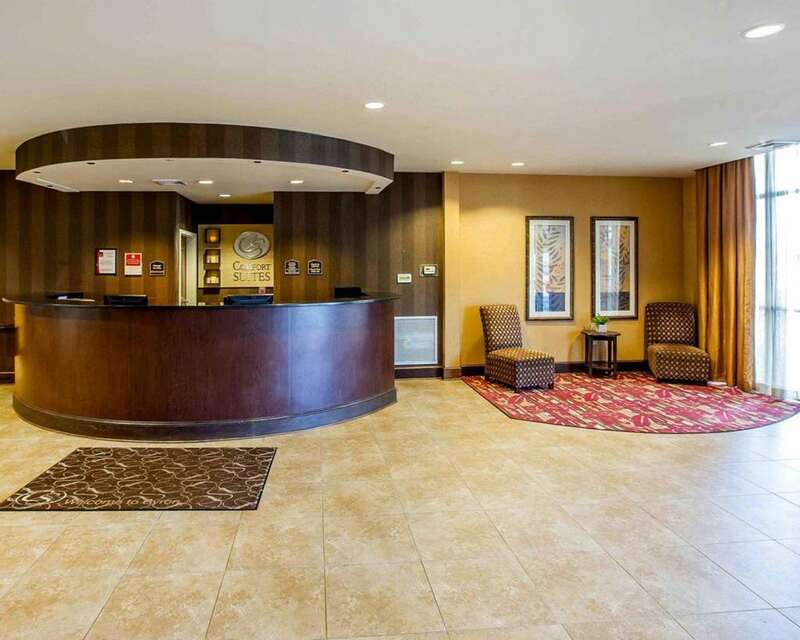 Our hotel has the amenities you want and need like free WiFi, an indoor pool, a hot tub, fitness center, a business center and a 25-guest meeting room. Spread out in spacious guest rooms which feature a coffee maker, desk, flat-screen TV, hair dryer, iron, ironing board, microwave, refrigerator, recharge device and sofa sleeper. Also, earn rewards including free nights and gift cards with our Choice Privileges Rewards program.